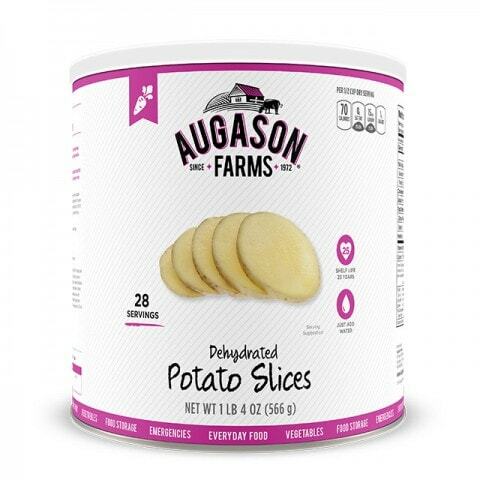 Just add water and you have delicious, hearty, Potato Slices ready for the grill, frying pan, oven, or pot! The 25-year shelf life is ideal for long term emergency food storage! One pound of Dehydrated Potato Slices is approximately equal to FOUR pounds of fresh potatoes.